Danilo provided excellent service driving us to the four corners of eastern Sicily. His Mercedes was very comfortable and his driving skills top notch. He was very knowledgeable and able to schedule a spur of the moment wine tasting event. At the end of the day, when other guides might have simply taken us back to the ship, he volunteered to drive us to Casemole, the highest peak in the area, for more outstanding views. We highly recommend him. Danilo was a very courteous and attentive guide for our tour to Mt Etna, Taormina and Savoca. The 6 of us enjoyed his Sicilian stories and promptness. He was kind enough to modify his normal tour by adding a quick stop in Savoca to see some godfather film locations and of course, some refreshment at Bar Vitelli. I would definitely use his services again on another trip to Messina, Thank you Danilo for a great day! Danilo was great. So helpful and concerned about our comfort and wellbeing. He put together a great two days for us and we hope to work with him again. great guide, knows the area very well, lot of nice bits of information. Danilo was an excellent driver and very caring guide. Very patient and catered to all our personal requests. Would recommend him to all our friends. Glad I was able to find your company on the internet. Had a marvellous day . Enjoyed it very much. Best tour guide who knew his history of Sicily. Danillo spoke English well and drove safely while making sure his clients where comfortable. Danilo was a wonderful driver/guide on our 9 day Sicily tour. He was very personable and easy to talk to. He also was flexible with our itinerary, accommodating all of our requests for changes. He was very dependable and an excellent driver, making us always feeling safe. We would highly recommend him to our friends if they want to experience Sicily with such a professional person. This tour with Danilo was absolutely amazing- by far our favorite thing that we did in Europe. Danilo is funny, informative, and really tailors the tour around what you want to do! Danilo was wonderful! Not only is he kind and thoughtful, but his knowledge of Mt. Etna and Sicilian history (all the way back to the Turks, Byzantines, Moors and beyond...not to mention Greek, Roman and modern day) is amazing! He truly is a walking encyclopedia of historical facts... all of which he made come alive for us. He was able to make some last minute changes to our itinerary which perfectly coincided with our interests. Our tour with Danilo was wonderful. Very professional and soooo knowledgeable about Sicily. We really enjoyed our time with him. He wanted to show us everything...maybe slightly too much. All in all, just great!! Danilo is an excellent safe driver with a very clean black Mercedes sedan. We enjoyed our transfer from Taormina to Piazza Armerina with him. He arranged for an excellent guide to meet us to give the tour of Villa Romana de Casale. Danilo is very knowledgeable and very friendly! We were 6 adults who enjoyed our time which Danilo organized very well! Our van was quite comfortable and Danilo was easy to understand and very patient with us! His suggestion not to take the cable cars to the top of Etna proved quite right! Our time spent on this tour was perfectly arranged! Great tour guide. Danilo picked up in his immaculate Mercedes and led us through the best of Noto, Syracuse, and Ortigia. He managed to please all 6 of us - the foodie, the archaeologist, the artist, the historian, the nature lover and the sociologist. I highly recommend. We just spent a wonderful week in Sicily. Our tour was customized and we were so fortunate to have Daniel C as our guide. He was an absolute delight! He was fluent in English so it was easy to carry on a conversation. He was very knowledgeable about all the places we visited and went out of his way to ensure that we got the most out of our experience to Sicily. He was always prompt, polite, professional, and a real gentleman. Our trip was better than we could have possibly imagined! Danilo was a very helpful and accommodating guide. His knowledge of Sicily and all its byways was awesome. He also knew all the best restaurants. We had a great experience. Danilo provided a great day in Tamorina and visit to Mount Etna. 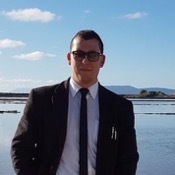 Beyond my expectations, over the last week I have been given a true insider's look at Sicily, and on top of it Danilo was able to uncover the birth records of my great grandfather Antonino, hidden in a 132 year old book in the tiny town of Siculiana. With very little information to go on, he spent hours in the records office, determined to help me uncover information about my past, information I could not have found without him. Truly unforgettable, I highly recommend booking with Danilo! Danilo is the best tour guide/driver ever! Friendly, courteous, a safe and patient driver and fun. He knows Sicily very well,recommended great local guides on our customized tour and his recommendations for places to visit and to eat were always excellent, both in large and small cities. Danilo always helped with our luggage, kept his car clean, was flexible, made sure we were comfortable and always was on time. He speaks very good English and knows Sicilian history very well. We highly recommend Danilo. We were absolutely satisfied with Danilo. He is a very kind and well-informed and also a good driver. Without his help and experience we were not able to see so many things in 3 days. His suggested places (restaurants, bar) was also perfect. We definitely recommend him! We cannot recommend Danilo highly enough. He is a superb guide. Very knowledgeable, but also very in tune with our needs, interests, and time spent on every site. He is extremely intelligent, and knows just about everything there is to know about what we are viewing. His touring car was immaculate (late model Mercedes) and he was attentive to our temperature and bathroom needs. He carried complimentary water bottles and tried in every way possible to please us. We commend him highly. Danilo is an excellent guide. He is patient and kind and showed us more than we had asked to see. He had a lot of information to share with us which we appreciated so much. He is also a very safe driver which made the day more relaxing. We had such a wonderful day with him. It was truly a special and memorable day. Clearly this was a 5 out of 5. Very professional and he went above and beyond with my family search. would highly recommend Danilo to everyone. We have traveled for the last 12 years. Danilo was the best tour guide we ever had. Not only was he professional, courteous, knowledgeable and thoughtful. Danilo anticipated our every desire. This was a genealogy tour for my husband. He was highly impressed by Danilo's attention to detail. He arranged a wine tour at Tasca D'Amerita which was the highlight of our time in Sicily! If you want the very best tour in Sicily, book Danilo! We thoroughly enjoyed our tours to Noto & Syracuse with Danilo; he took a lot of time making sure we had a thorough background and appreciation for the wonderful sites we visited. Overall, we had a great day filled with many lasting memories thanks to Danilo. Danilo is a very experienced driver and guide. He knows the history and facts of every place. 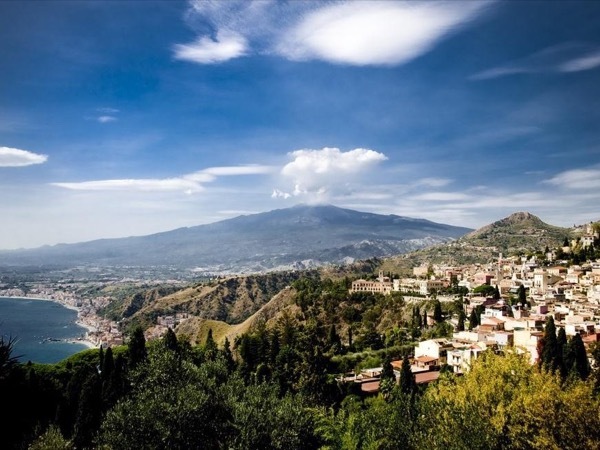 He will help you design a custom made itinerary to make the most of your time in Taormina. He also knows how to take the best pictures. Danilo is one of the best tour guides I have had in Europe. He is not in a hurry, he wants your to get to know and enjoy his home, Sicily. Danilo did a great job of introducing our group to the island. He was prompt and very knowledgeable about all the sites. At the end of the tour, we felt well satisfied that we had seen and learned about the major attractions. Would definitely use him again and recommend him to anyone visiting the area. Danilo was the perfect guide for our visit to Sicily! We were there to visit the towns and cemeteries where our ancestors lived and died. He provided excellent commentaries along the way, historical information on the towns where they lived, and helped us find their homes and graves. When we met with distant cousins (whom we had never met) he joined us for the lunch that they prepared, and and interpreted as none of us spoke Italian. What was a 12 hour day for Danilo made a lifetime of memories for us. Let me start with the ONLY positive, the van is very nice and new. If you want a taxi, then this is the tour for you. The 'guide' has very limited English (example, when asked 'how many different times has Syracuse been conquered, Danilo replied 'yes, the grass is green around here'. I specifically asked if Danilo would give a detailed explanation of the sights we were going to, and he replied that he would. The explanation was 'This is where we are on the map'. The worse 'tour' we have ever had. Danilo was very professional and very knowledgeable about Mt Etna and the history of the volcano. His recommendations were spot on and he was very attentive to my needs. Thank you very much for the amazing excursion and the tour! !